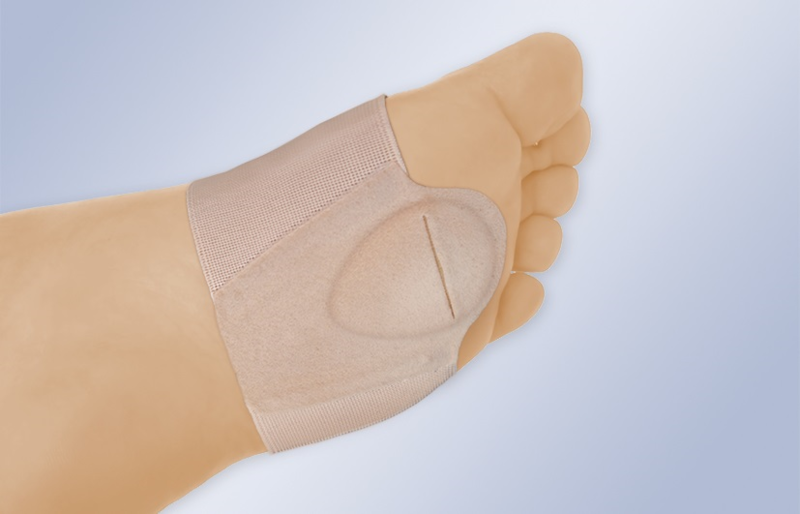 Metatarsal elastic band manufactured in stretch fabric, it provides support for the 2nd, 3rd and 4th metatarsals in the plantar region. It protects and cushions the foot area. Indications: metatarsalgia, collapsed anterior arch of the foot.